The Batman Strikes! 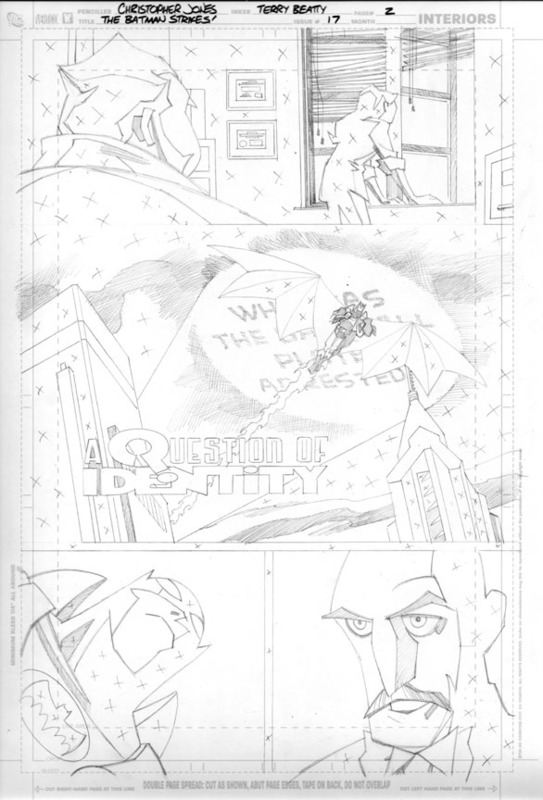 #17 featured a title page that was the payoff of a 2-page sequence with Gotham City Police Chief Angel Rojas and Detective Ellen Yin reacting to a message being projected into the sky via searchlight beam by The Riddler. What the heck kind of smog does Gotham City produce that they have such dense, concentrated cloud layers that you can project PRINT onto them without it diffusing into illegibility? Both of these characters were fun to draw. Chief Rojas was the top cop in the first season of The Batman animated series for which this was was the tie-in comic series. Both Rojas and Ellen Yin were new characters created for The Batman, and brought some needed ethnic diversity to the pantheon of Batman characters. 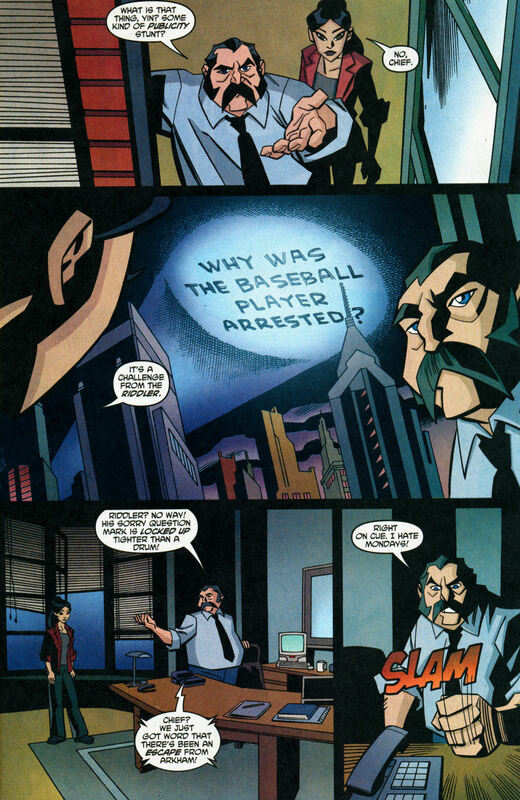 Rojas was unfriendly to the bat-garbed vigilante who had recently appeared in Gotham, especially in contrast to Commissioner Gordon who largely replaced him in the second season. I never heard if there was any reason to invent this character and not use Gordon in the first season other than trying to diversify the cast (a worthy enough goal). I wish they would have done more with him after Gordon came in, but the character kind of faded away. Yin also largely was pushed aside to make way for other supporting characters as Batgirl and Robin were added in later seasons. On page 2 we see the payoff of this sequence as Batman swoops in front of the searchlight, foreshadowing the Bat-Signal. 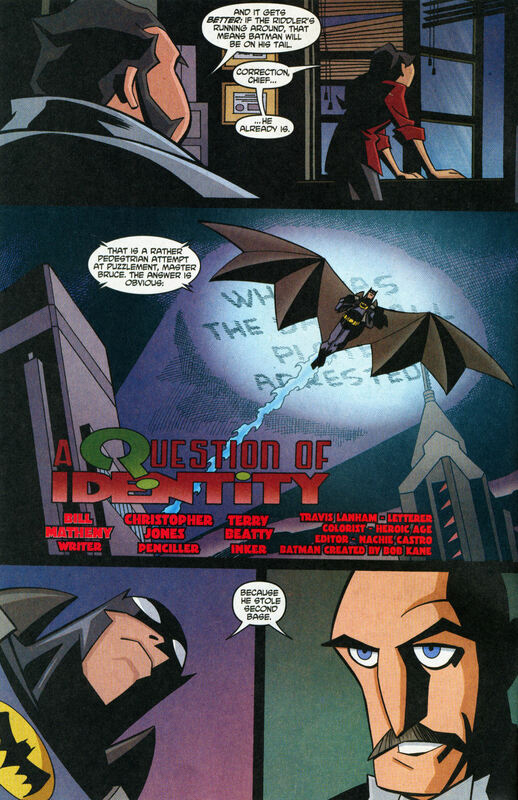 The story title and credits appear in this panel, and I made the “Q” into a question mark to reference The Riddler as the villain of this story. Sadly I don’t have the inks-only versions of these pages in digital form to include in this post, but you can see how the pencils compare to the finished pages. I’d really love for DC to make digital editions of all the issues of this series available, as the lower-quality paper used on this title combined with the deep, saturated colors that were frequently used could make the pages look dark and muddy, and a lot of the contrast I was trying to create in the line art was diminished. 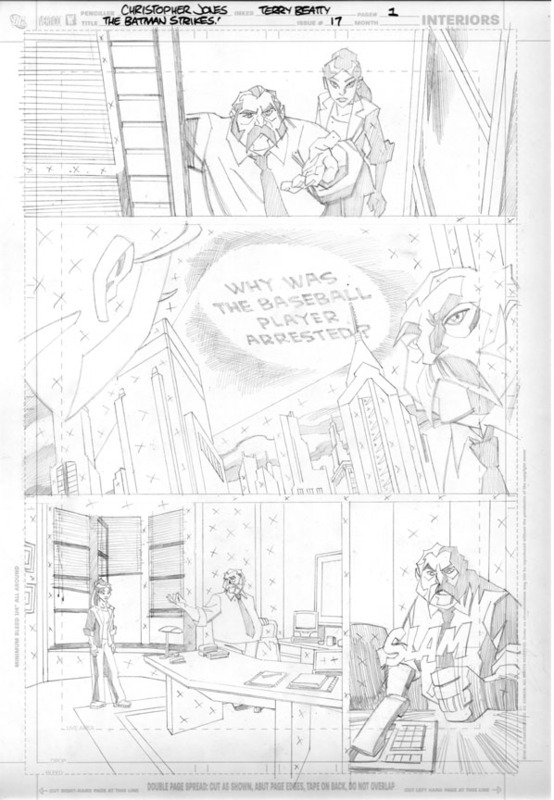 I bet most of these pages would look MUCH better in purely digital form as opposed to what you see here, which are scans of the printed comic. I’ll have more installments of Title Pages soon (I promise), but until then you can check out previous installments! As always, questions and comments are welcome!